Why do people always trying really hard to find the perfect glowing skin tips? Is it because having glowing skin will make you look more beautiful? Or is it just an indication of your health? In my opinion both of those thoughts are true. 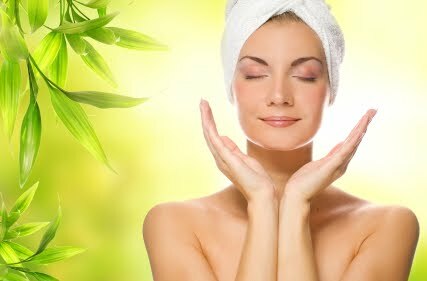 Glowing skin can be used as the easiest indicator of how healthy you are and also a sign of your vitality. This in the end will boost your confidence thus showing your inner beauty. But due to a lot of things such as air pollution, stressful life, unhealthy food and especially lack of exercise, glowing skin is really hard to achieve and even harder to maintain. To make their skin glowing instantly a lot of people waste their time and also money to treat their skin in clinics which proved to be ineffective. When this does not succeed they go to expensive spa solutions or buy beauty creams that really do them no good. What they do not know is that to have glowing skin there are three simple yet important aspects to work on. Glowing skin tips number one is always take a good care of what you eat or simply put healthy diet. Our skins benefits the most if you consume fruits and vegetables, eat lean meats such as chicken or tuna. These types of food are full of vitamins, minerals, nutrients and also antioxidants which make your skin healthy. Always take into consideration that the foods you consume have to be rich of vitamin A and C. Potatoes, oranges, cantaloupe, lemons, and limes are known to be friendly to our skin. You should really avoid fast food especially deep fried and oily foods otherwise your skin would have a really difficult time. Boil cabbage in water. Strain it and use the water to wash your face to make your skin look radiant. Mix yoghurt with cucumber water. Apply on your face and wash it off. Coconut milk is excellent for skin care, especially in winter. Take half a cup of coconut milk. Use half of it to apply it over the face and body. Mix the rest with red sandalwood powder, apply the paste on the face. It can also be applied all over the body. It exfoliates your skin. Is your skin looking dull and lifeless? Mix coconut water and thick pineapple juice. Add multani mitti and apply it over your face and body. Do not scrub vigorously; wash it off with ice cubes or cold water. Here's a way to refresh tired skin: Mix one teaspoon vinegar with one teaspoon rosewater. Apply on skin and leave for 10 minutes. Wash it off with ordinary water. Mix one teaspoon honey with one teaspoon tomato juice. Leave it on the face or body for 10 minutes and wash it off with ordinary water.